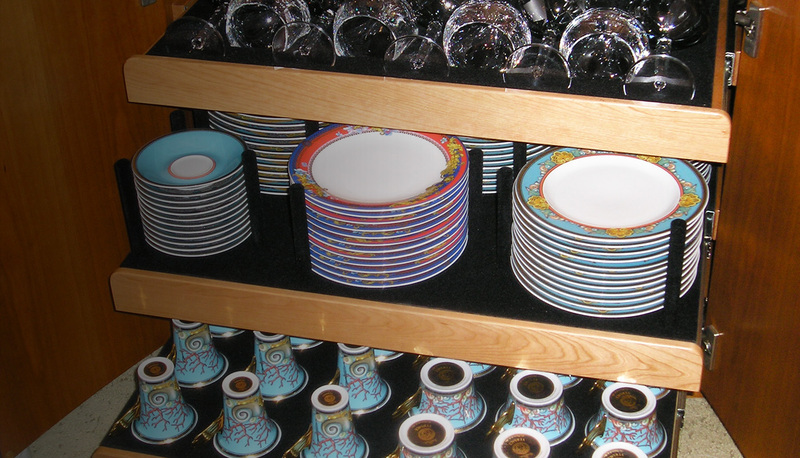 Brandane Interiors Inc. (Formerly Highland Interiors) has been in business in the Fort Lauderdale area since 1985. We specialize in extensive refits on luxury yacht interiors, but are always willing to take on smaller jobs with the same emphasis on excellence. The disciplines we cover include cabinet construction, tables, veneering, flooring, solid surface construction and installation ( e.g. Corian, etc. ), finishing, wheelhouse re-construction, audio/video re-configuration, and all external woodworking. We have a well equipped, air conditioned workshop on Marina Mile in Fort Lauderdale, close to many of the local shipyards where our clients dock. Our workforce is made up of highly experienced carpenters and cabinetmakers who together represent more than 100 years in the industry. 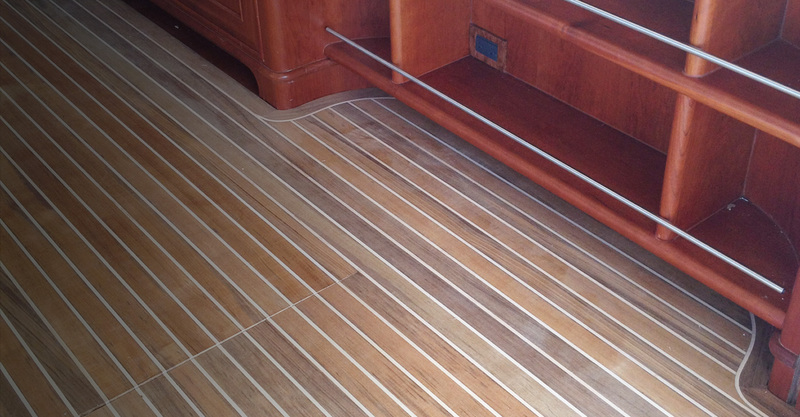 They are well-known in our field for producing some of the finest results in high-end yacht cabinetry. Over the years we have worked closely with many of the area's interior designers but also can do design and planning in-house. We are fully CAD capable. We can turn your designer’s 3D .step files into production drawings. We also offer 3D modeling and rendering in house so you can see your ideas in scale with the surrounding area prior to finalizing your plans along with “Scope of Work” documentation providing step by step instruction to clarify all details for all disciplines involved in your project. We are licensed and insured, and can work out of all the local yacht repair yards. Please do not hesitate to contact me if you have any questions regarding an upcoming project. --- David Ross, Owner, Brandane Interiors Inc. I am pleased to have the opportunity to write about Brandane Interiors as this fine woodworking company has been the integral part of our companies’ projects for over 15 years. During this time David Ross and his team have fabricated countless projects for us on all types of vessels. The work is always finished on time and perfect. David has a gift for solving challenging projects and his years of experience allow me to rely on him for all of our carpentry and refit projects. I would be happy to recommend him to anyone in need of fine woodworking. 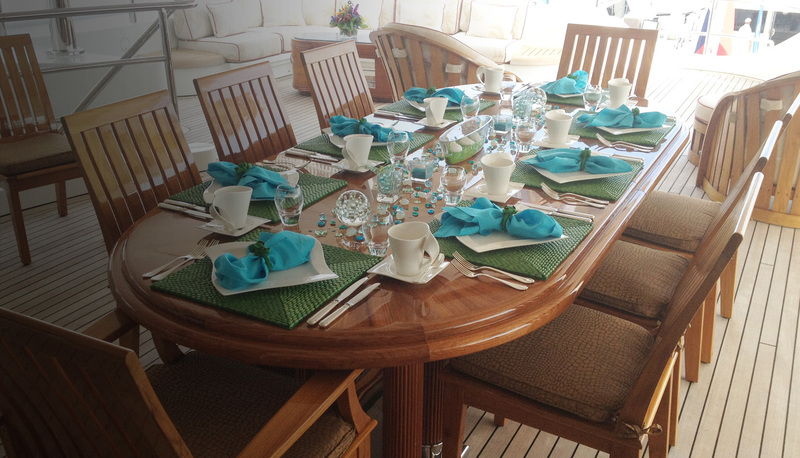 All work at Brandane Interiors is proudly carried out by a highly skilled and experienced team of yacht fitting specialists, and the high quality of their finished projects is a constant testimony the mastery of their craft the mastery of their craft. Brandane Interiors is celebrating 25 years of continuous success. 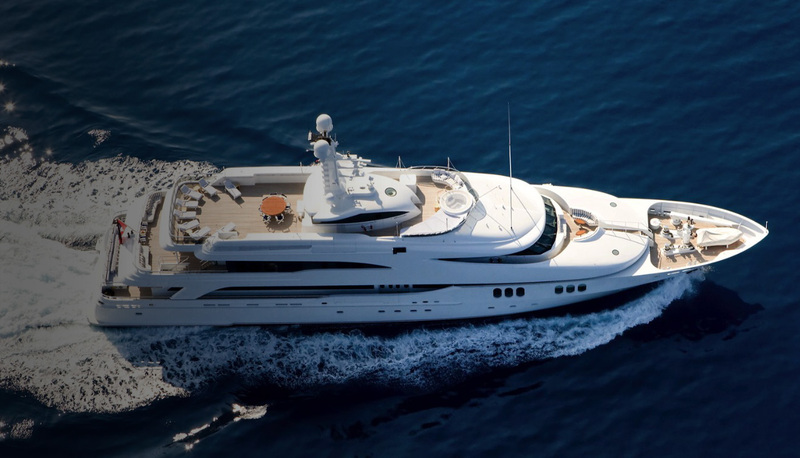 Over that time, David and his team of craftsmen have worked on some of the world's most prestigious yachts, and in the process have gained an excellent reputation for quality and integrity.